2018 World Cup: Will Russia Make the Most of Home Field Advantage? Home > News > Soccer > 2018 World Cup: Will Russia Make the Most of Home Field Advantage? Will hosting the World Cup give Russia an advantage? How has Russia looked in the lead up to the tournament? The second lowest ranked nation participating in this year’s World Cup will also be the host nation. Russia is 66th in FIFA World Rankings, only above their fellow Group A opponents Saudi Arabia who rank 67th. The tournament will be spread out across 12 stadiums in the cities of Kaliningrad, Kazan, Moscow, Nizhny Novgorod, Rostov-on-Don, St. Petersburg, Samara, Saransk, Sochi, Volgograd, and Yekaterinburg. Having home field throughout the tournament would be an advantage to any nation. For Russia, who’ve selected a roster that almost exclusively plays their club soccer domestically, it’s essential. 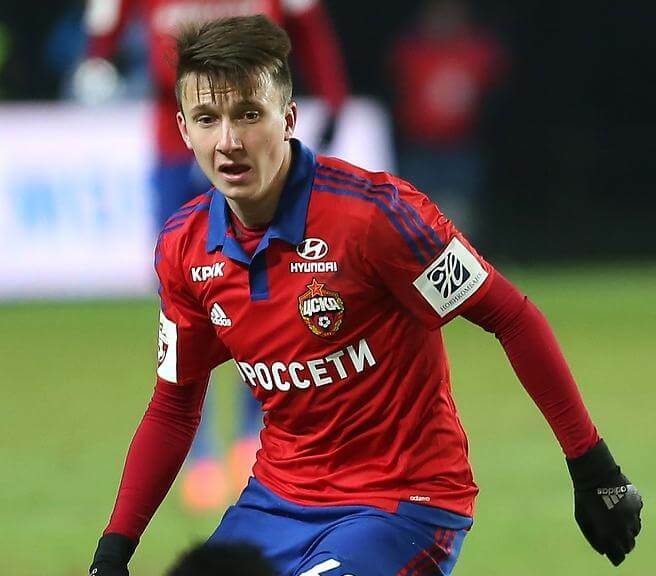 Only two players on Russia’s squad play their domestic soccer outside of the Russian Premier League. Of their 23-man roster, the only players who don’t play in the Russian Premier League are Villarreal’s Denis Cheryshev and Club Brugge’s Vladimir Gabulov. For the rest, their surroundings will be very familiar. Goalkeepers: Igor Akinfeev (CSKA Moscow), Vladimir Gabulov (Club Brugge), Andrey Lunev (Zenit St. Petersburg). Defenders: Vladimir Granat & Fedor Kudryashov (Rubin Kazan), Ilya Kutepov (Spartak Moscow), Andrey Semenov (Akhmat Grozny), Sergei Ignashevich & Mario Fernandes (CSKA Moscow), Igor Smolnikov (Zenit St. Petersburg). Midfielders: Yuri Gazinskiy (Krasnodar), Alexsandr Golovin & Alan Dzagoev (CSKA Moscow), Aleksandr Erokhin, Yuri Zhirkov & Daler Kuzyaev (Zenit St. Petersburg), Roman Zobnin & Alexsandr Samedov (Spartak Moscow), Anton Miranchuk (Lokomotiv Moscow), Denis Cheryshev (Villarreal). Hosting affords you an automatic pass through the grueling multi-year qualification phase. Historically, this has proven advantageous as only one time has a hosting nation not at least progressed out of the Group Stage. That came back in 2010 when South Africa went 1-1-1 and finished third in their group and didn’t progress. Of the 20 World Cups that have taken place, the hosting nation has lifted the trophy six times. However, the last such instance was back in 1998 when France won at the Stade de France in Saint-Denis. 1998 was also the first time 32 teams took part in the tournament. Prior to this, 24 nations participated in the four World Cups earlier. Only 16 teams competed for the title in the 1978 tournament and earlier. Though there have only been 20 World Cups, 21 nations have hosted as in 2002 South Korea and Japan co-hosted. So if you consider the 21 countries who have had a part in hosting, eight have made it to the final (top two) and 12 have made it to at least the Third Place Match.